Cal Fire authorities on Thursday said the Morgan Fire burning around Mount Diablo in California was sparked by target shooting, but they did not identify the shooter, saying that the investigation is still ongoing. By Friday morning, firefighters had contained 95 percent of the blaze – more than 20 percent more than the day before. 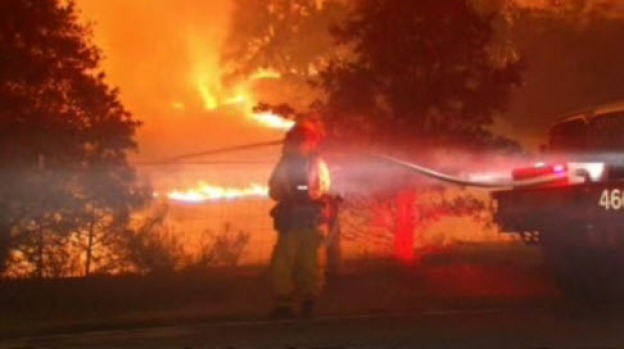 Cal Fire officials estimated that it had cost $4.5 million to date. 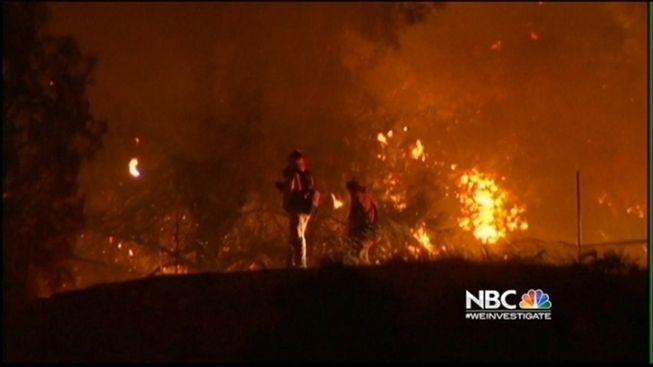 Residents who live near the fire line in Contra Costa County are not surprised by target shooting being the cause of the blaze. "A lot of people shoot guns up here," Pat Haley said. "I don't know the mountains are really overgrown and it was going to happen sooner or later." The Morgan Fire near Mt. 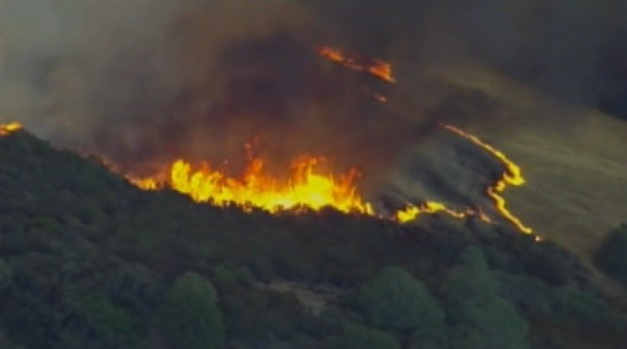 Diablo is currently at 90 percent containment. Fire crews expect to fully contain the blaze Friday. Jodi Hernandez reports. Cal Fire on Thursday reported more than 1,110 firefighters remained on scene to battle the brush fire that had charred about 3,100 acres and broke out Sunday afternoon along Morgan Territory Road, southeast of Clayton, hence the name of the fire. Of the 100 homes threatened, none were lost. "We didn't lose any residential structures in this fire," said Robert Marshall, spokesman for the Contra Costa Fire District, who thanked residents for keeping defensible spaces around their homes. "And we got lucky, too." Investigators are not releasing further details about how they determined target shooting is to blame for the wild fire. An investigation on the cause is ongoing, officials said. Cal Fire said they expect to completely contain the Morgan Fire on Friday.